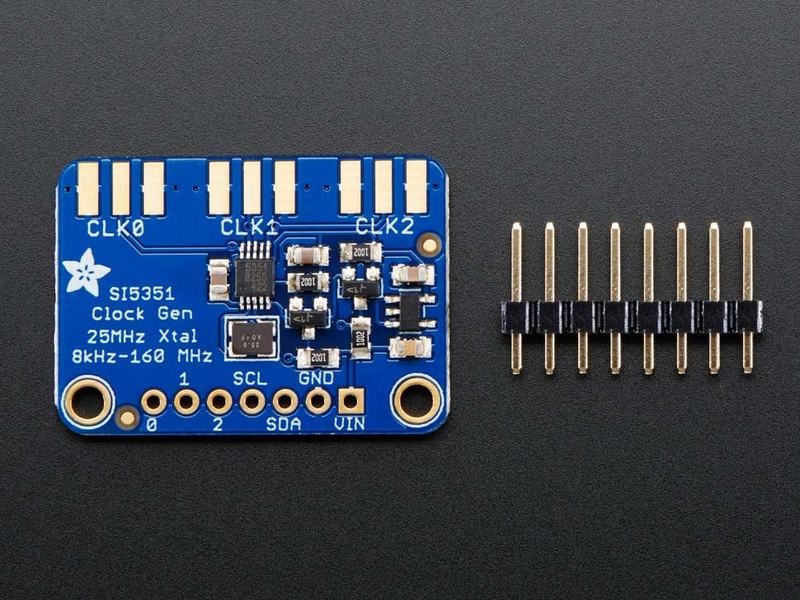 The Si5351A clock generator is an I2C controller clock generator. It uses the onboard precision clock to drive multiple PLL's and clock dividers using I2C instructions. By setting up the PLL and dividers you can create precise and arbitrary frequencies. There are three independent outputs, and each one can have a different frequency. Outputs are 3Vpp, either through a breadboard-friendly header or, for RF work, an optional SMA connector. We put this handy little chip onto it's own breakout board PCB, with a 3.3V LDO regulator so it can be powered from 3-5VDC. 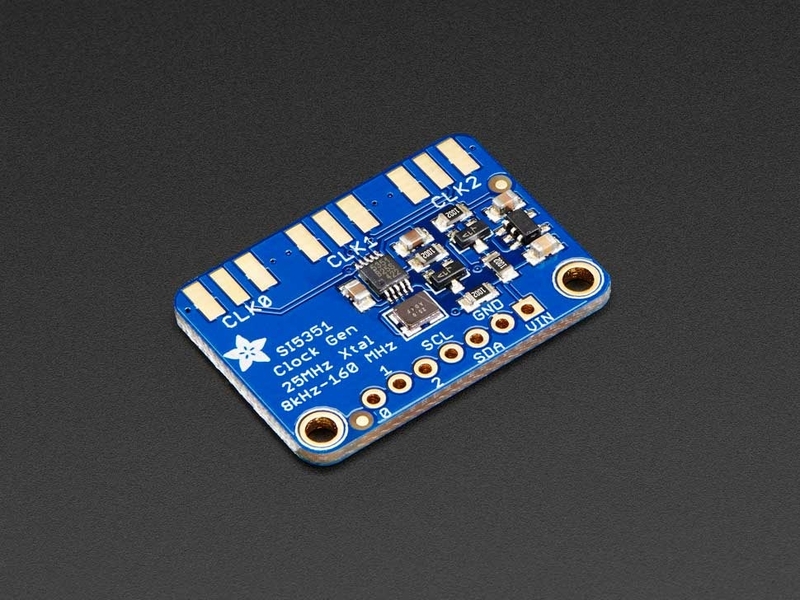 We also put level shifting circuitry on the I2C lines so you can use this chip safely with 3V or 5V logic. 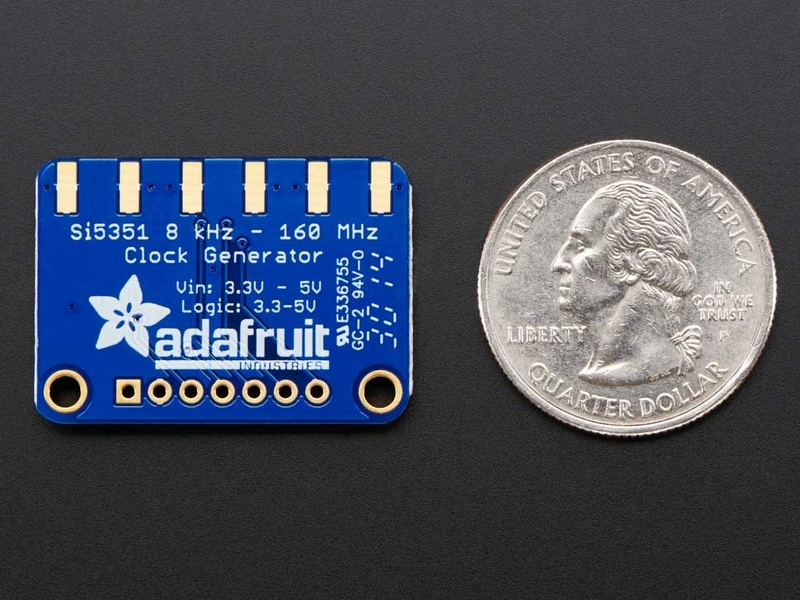 Dimensions: 31mm x 22mm x 2mm / 1.22" x .87" x .08"
Adafruit Si5351 Clock Generator Breakout - Generate ALL the frequencies!